The film is one of the most seen British films of all time, with 15.9 million tickets sold at the cinema. 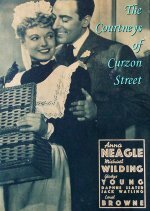 Period drama starring Anna Neagle and Michael Wilding. When Sir Edward Courtney marries Irish maid Catherine, the ensuing insults force his pregnant bride to flee to Ireland alone. She returns some years later as an entertainer during the First World War.